Newton is known for its landscaping, a “garden city” of beautiful trees, flowers and well-tended lawns. However, fertilizer run-off from those lawns ends up in Newton’s streams and ponds, sometimes leading to eutrophication and algae blooms. Eutrophication is the process by which a body of water acquires a high concentration of nutrients, such as phosphates and nitrates. These typically promote excessive algae growth. As the algae decompose, high levels of organic matter and decomposing organisms deplete the water of available oxygen, causing the death of other organisms, such as fish. Algae can begin to form around the edges of a pond, but can occasionally grow quickly into unhealthy algae blooms. In water heavily polluted with excessive nutrients, duckweed and water meal can eventually cover the entire surface of the water. Pond algae. Photo source, Bioremediate.com. Duckweed on the surface of Bullough’s Pond,1990. Photo by Bill Leitch. Algae forms in the northeast corner of Bullough’s Pond most summers, near a storm drain on the road known as Bullough’s Park. In the 1980’s, as Bullough’s Pond was silting up and becoming shallower, the process of eutrophication accelerated (photo above). 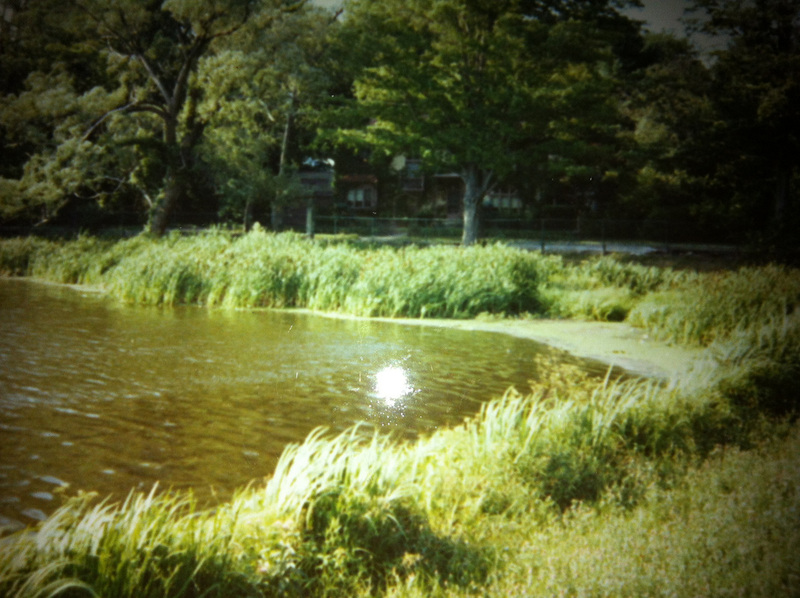 By 1990, duckweed covered almost the entire surface of Bullough’s Pond (photo left). Dredging in 1993 restored Bullough’s Pond to good health. The City of Newton is aware of the problems caused by storm water run-off into Bullough’s Pond and other waterways, but hasn’t yet implemented a completely successful plan to prevent those problems. It’s up to all of us to do all we can to minimize our contribution to storm drain-related waterway contamination.